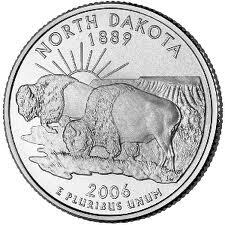 Last updated: July 26, 2018 at 8:11pm by Savanah – News has been pretty slow on the gambling front in ND. A casino bill didn’t pass the House last March which would have added up to six more casinos in the state. On another note, Dave Piepkorn, the new city commissioner of Fargo, led the way to resume horse racing two years ago at Horse Park located in Fargo after it was cancelled the previous year. 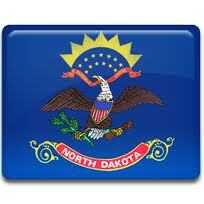 North Dakota is pretty strict on their laws when it comes to gambling and the penalties that come with it. However, they aren’t too strict when it comes to offering legal gambling activities for those who reside in their state. As you can see they directly quote sports betting as an illegal activity. What isn’t as clear is if poker is illegal. The statute states “chance”, which many consider poker as a game of skill and not chance. In regards to playing poker on the internet, one could argue that a gambling apparatus is being used, a computer, which would make it illegal. In 2005, North Dakota tried to pass legislature making it legal to play poker over the internet which was lead by Republican Jim Kasper. It passed in the House but was denied by the Senate. The Department of Justice has more recently changed their views on this topic since 2005, allowing North Dakota another chance at bringing this to the forefront if they choose to. With this, a new agency opinion made says one of the key federal laws wielded against Internet gambling, called the Wire Act, applies only to sports betting. There are several articles that talk about the new Justice Department opinion, “pretty much says that (Internet poker regulation) is entirely up to the states” said I. Nelson Rose in one of the articles, a gambling law expert and professor at Whittier Law School in Costa Mesa, California. It’s and interesting article and a good read. – With the popularity of “Texas Hold’em” tournaments broadcast on cable television, is it possible to conduct poker tournaments in the State of North Dakota? Answer – According to state law, each licensed charitable organization may conduct poker on not more than two occasions per year. Poker activity must be conducted at an authorized site of the licensed organization. A poker tournament if it includes satellite qualifying tournaments may be conducted for not more than three consecutive calendar days of play. An organization may allow players to rebuy or add-on additional poker chips, which may be less than or equal to the original entry fee, provided that the total amount collected during a satellite tournament does not exceed $300 and the main poker tournament event does not exceed a separate $300 total entry amount. The total amount of prizes for a poker tournament may not exceed ninety percent of the gross proceeds. As you can see, there is some flexibility when it comes to playing poker for money. Again, it isn’t as clear when it comes to playing poker online in regards to their laws, but no instances have been found with people being arrested and accused for doing so. Visit our www.uspokersites.us/safest page to find the safest poker sites accepting USA players. What Gambling Activities are Allowed? Ensure compliance with tribal-state casino gaming compacts. There are four Native American Tribes in North Dakota and they own the five main Indian Casinos is the state. They are the Spirit Lake Tribe which owns the Spirit Lake Casino & Resort, the Standing Rock Sioux Tribe who owns the Prairie Knights Casino and Resort, the Three Affiliated Tribes of the Fort Berthold Reservation which owns the 4 Bears Casino and Lodge, and the Turtle Mountain Band of Chippewa Indians who own the Painted Pony Casino and Sky Dancer Hotel and Casino.